The last two weeks, I've shared recipes that were cool and creamy, picnic fare and quick cooking. For the series finale, I'm sharing recipes that won't heat up the kitchen. Click the words in bold to go to the page with the recipe. Grilled Peppered Steak: This is my favorite way to cook steak and the only recipe I have that's cooked on the grill. The steak is seasoned with a dry rub before grilling. The dry rub infuses the meat with flavor which intensifies during cooking. 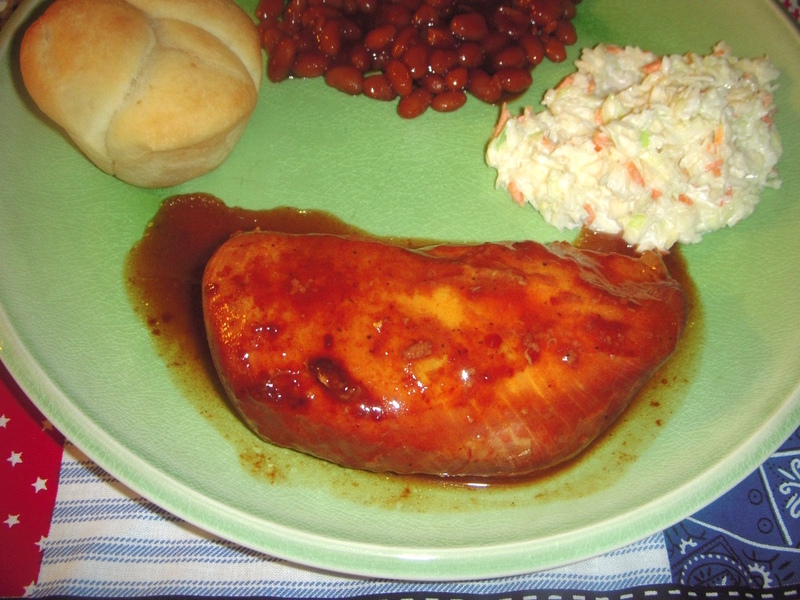 Barbecue Chicken: This recipe takes five hours to cook, but it won't heat up the kitchen. The secret is to cook the chicken and barbecue sauce in the crock-pot. Chicken a la King: This crock-pot version takes longer to cook, but it's still easier than the traditional recipe. 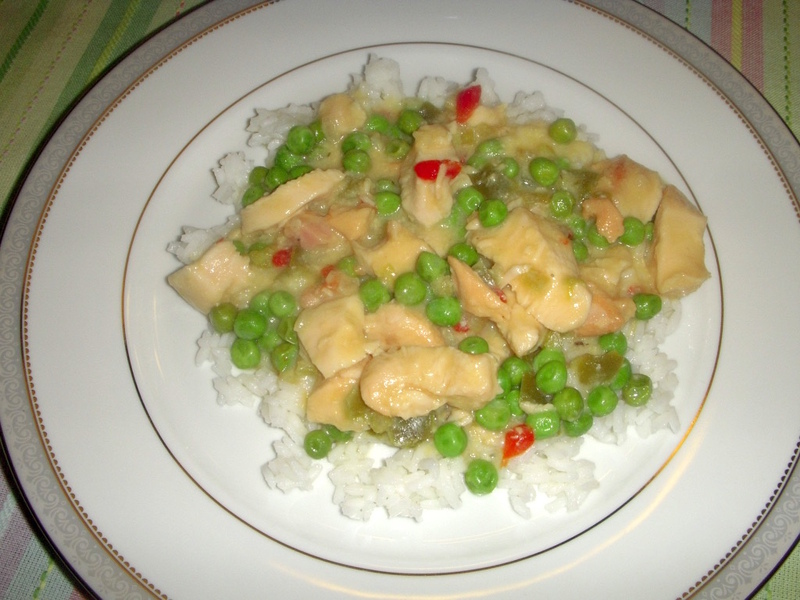 The chicken and peas don't have to be cooked; the onion, celery and green pepper don't have to be sauteed; the sauce doesn't have to be cooked and thickened. If you want to serve it with rice, you'll need to cook it separately, but that doesn't take long and won't heat up the kitchen. French Dip Sandwiches: This crock-pot recipe takes all day to cook, but it's worth the wait! An advantage to crock-pot cooking is you can use cheaper cuts of meat; they'll get tender during the cooking process. Coleslaw: Coleslaw is a great warm weather side since it's served cold. If you want to save time, forget about grating the cabbage and use a package of coleslaw mix instead. 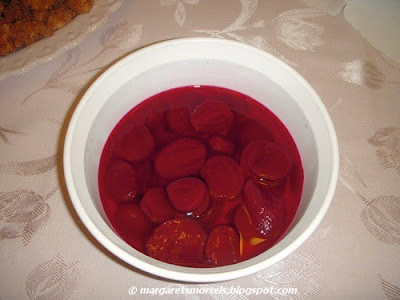 Pickled Beets: This recipe only uses three ingredients and, since it starts with a can of sliced beets, you don't have to cook or peel beets. You do have to turn on the stove, but just long enough to dissolve sugar in the vinegar. The beets are a great summer dish because they're served cold straight from the fridge. Corn-on-the-Cob: There's no vegetable I look forward to in the summer more than corn! My mom always cooked fresh corn in a pot of boiling water, but I cook it in the microwave. Not only is it quicker, the corn retains more flavor than when boiled in a pot of water. Microwave Brownies: These brownies are great when you want something sweet, but don't want to heat up or spend a lot of time in the kitchen. The brownies can be cooked and cooled in less time than it takes to make something from a mix!